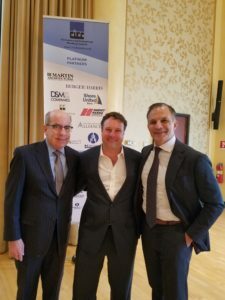 Members of the Commercial-Industrial Realty Council of Delaware and their guests met on Wednesday, January 9 at a new location, the Dupont Country Club. 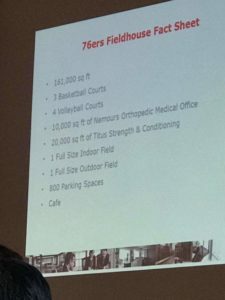 Luncheon attendees were treated to a “sneak peak” at the new 76ers Fieldhouse in Wilmington. 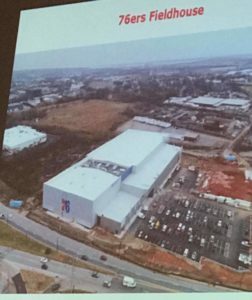 The regional facility will draw sports fan from around the area. Robert Buccini and Mike Hare provided an exciting overview of the construction of the facility and the many features that will be available. Continuing education classes were also held before and after the luncheon. Although the organization continues to attract new members due to the hard work of the CIRC/Delaware Membership Committee, there was one new member at the January meeting. 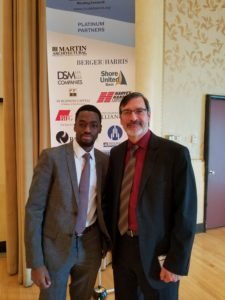 (New member Kole Fatunmbi, Batta Environmental Associates, Inc. and Jim Manna, Chairman, CIRC/Delaware Membership Committee). The next meeting will be Wednesday, February 13, 2019 at the Dupont Country Club.